Osborne is touting social justice by Conservative means, with the personal allowance rising to £11,500. The higher rate threshold is set to rise to £45,000, meaning half a million people will no longer pay higher rate tax. "The storm clouds are gathering again," Osborne says, wrapping up. He wants the next generation to inherit a strong economy, to be better educated and to grow up healthier, with less sugar tax. That's all from Osborne. Stay tuned for the response from the opposition. 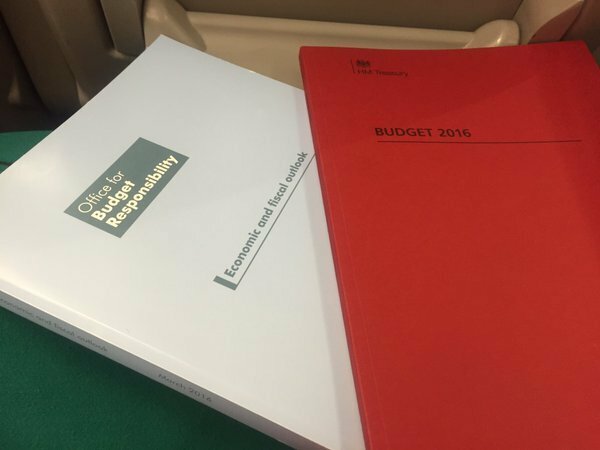 Corbyn wastes no time sticking the boot in by calling Osborne's Budget "the culmination of his failures". 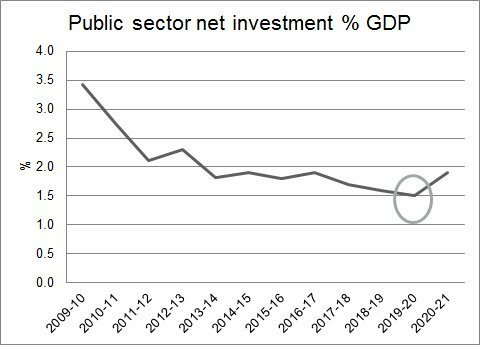 Growth has been revised down every year from forecasts, Corbyn says. He sounds furious, and that tie's tied pretty tight too. 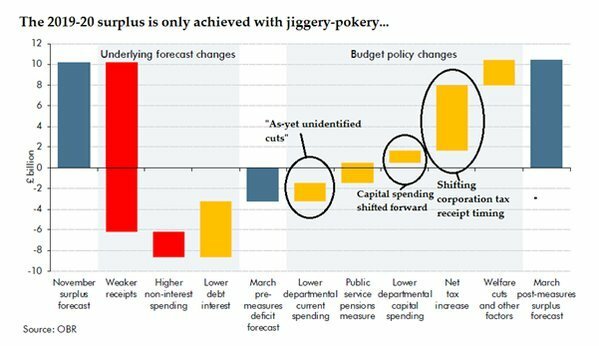 Corbyn says Osborne failed to balance the budget, as he promised. Osborne once said "we're all in it together". But the poorest have suffered the greatest disproportionate losses, reports have shown. Corbyn reminds Osborne of his "march of the makers" quote. He says the manufacturing sector is now smaller. 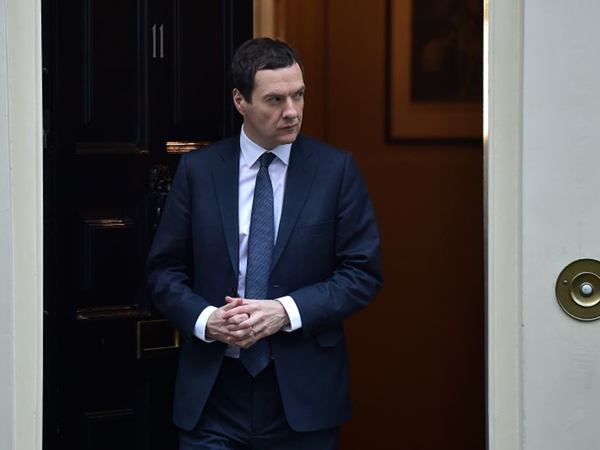 "We are the builders," Osborne once said. But the housebuilding sector has stagnated, Corbyn says. 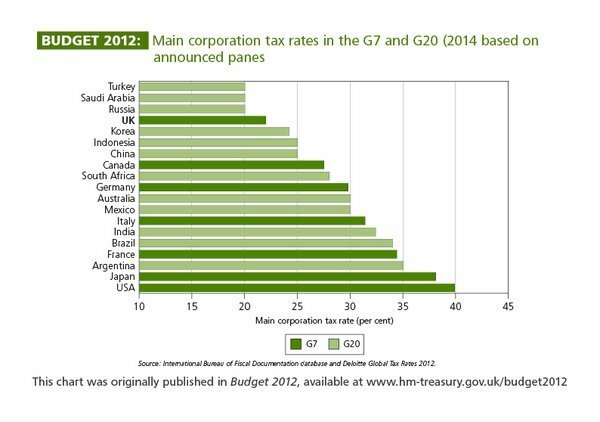 Jeremy Corbyn accuses George Osborne of wheeling out "mates rates deals on taxes for big corporations". 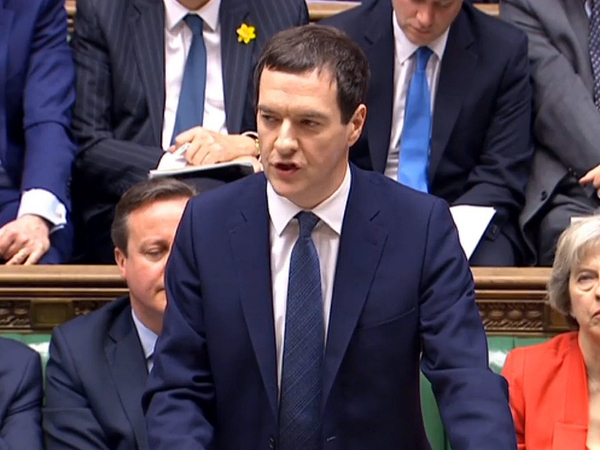 Osborne's Budget is for hedge fund managers, not small businesses, Corbyn says. The Chancellor set himself a one trillion export target - but it's going to be missed "by a lot more than a country mile", Corbyn says. Corbyn calls out Osborne's rhetoric on the Northern Powerhouse - pointing out that a huge majority of initiatives in the North have been outsourced to London. For those on zero-hours contracts - nearly a million people - don't even know what their income will be. 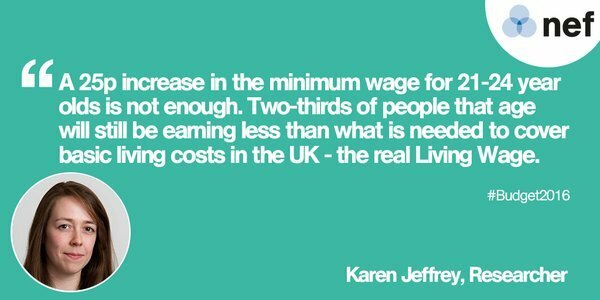 We have the highest level of in-work poverty on record, Corbyn says. Corbyn is taking aim at the Chancellor saying that £450,000 for a starter home is affordable. "It might be for his friends," Corbyn says. We need to tackle the issue of homelessness by saying that everyone in society deserves a roof over their head, Corbyn says. Finally Corbyn picks up on Osborne's obsessive mentions of the next generation. Corbyn welcomes money going into flood defenses, but picks up on cuts to fire services, the environment agency and for local government workers that worked during the crisis in December. "Our policies invest in people," Corbyn says. Corbyn says Osborne has done nothing to address the teacher crisis, huge class sizes and school shortages. He welcomes the sugar tax. "If we as a society cannot protect our children from high levels of sugar then we have failed the nation," he says. But, he says, this is an issue that affects the NHS. Hospitals are facing huge problems. Our NHS needs the resources to address the health needs of the people, Corbyn says. Corbyn agreed with Osborne on one thing: that the UK should stay in the EU. The IndependentChancellor George Osborne’s cuts to disability benefits will cause 200,000 disabled people to lose almost £3,000 a year each, a Labour analysis has revealed. The analysis, cited by the Guardian, finds the decision to cut Personal Independence Payments (PIP) made to over 640,000 people in a bid to save the Treasury £1.2 billion, will remove 200,000 disabled people from the system. "The price of failure is being borne by the weakest in our society," Corbyn says. He calls the Tories a "cruel and callous" government. The cuts made to day are a "political choice, not a necessity". Corbyn says Labour will oppose these damaging choices and make the case for a recovery shared by all. Corbyn also wants to give young people more chances, he says. Corbyn sits down - that's the end of Labour's response to the Budget. Caroline Lucas, the Green Party MP for Brighton Pavilion, has said that the Chancellor’s “climate-wrecking” Budget has exposed the hypocrisy of the Government’s talk of putting the next generation first as “nothing short of hot air”. Lucas slammed the Government’s “economic failure” and his “deepening attacks on those in need”. This climate-wrecking budget shows that the Government’s talk of putting the next generation first is nothing short of sheer hypocrisy. If our Government was serious about creating a decent society for our children and grandchildren then they would be pulling out all the stops to support British firms and business in the renewable energy sector and to keep fossil fuels in the ground. 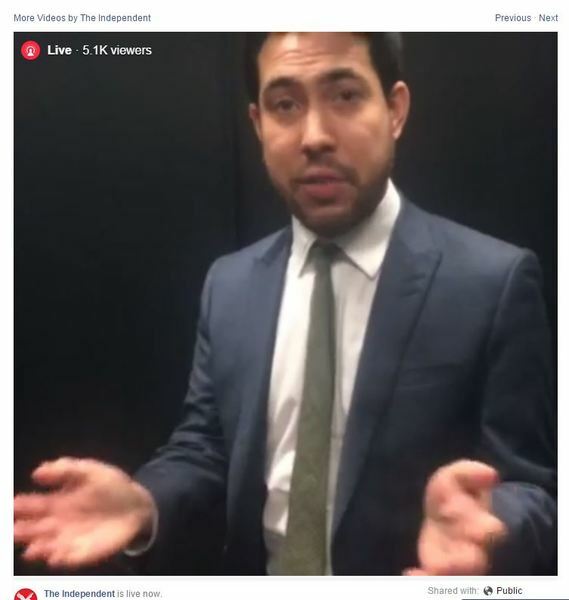 The Independent is live with Ben Chu and John Rentoul on Facebook right now here. Log on and send them your questions. 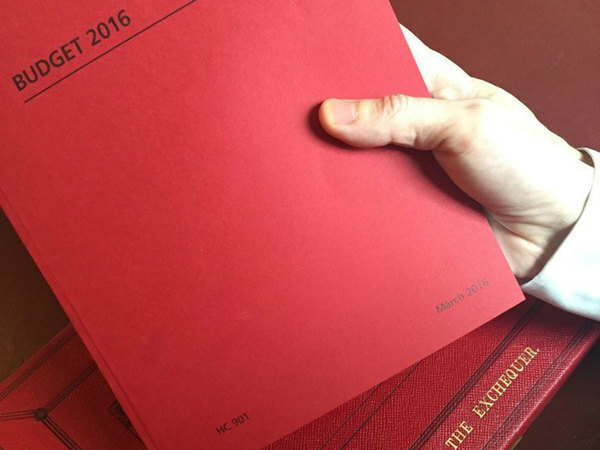 The IndependentThe Chancellor delivered his Budget to the House of Commons on the afternoon of 16 March 2016. Here are the main points. 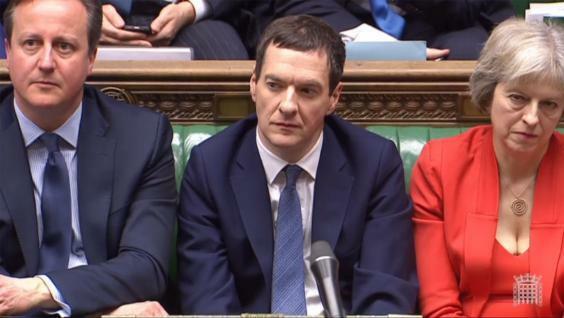 One comment made by Jeremy Corbyn during the Budget really made the Tory front bench squirm. Can you guess which one?
. @FDA_union : change to the discount rate on public sector pensions means Treasury "effectively removing further £2bn from public services"
Compulsory maths A-Level must surely be against the Geneva Convention. Brutal.